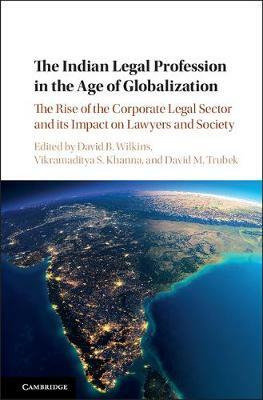 Author(s) Wilkins, David B.; Khanna, Vikramaditya S.; Trubek, David M.
This book provides the first comprehensive analysis of the impact of globalization on the Indian legal profession. Employing a range of original data from twenty empirical studies, the book details the emergence of a new corporate legal sector in India including large and sophisticated law firms and in-house legal departments, as well as legal process outsourcing companies. As the book's authors document, this new corporate legal sector is reshaping other parts of the Indian legal profession, including legal education, the development of pro bono and corporate social responsibility, the regulation of legal services, and gender, communal, and professional hierarchies with the bar. Taken as a whole, the book will be of interest to academics, lawyers, and policymakers interested in the critical role that a rapidly globalizing legal profession is playing in the legal, political, and economic development of important emerging economies like India, and how these countries are integrating into the institutions of global governance and the overall global market for legal services.